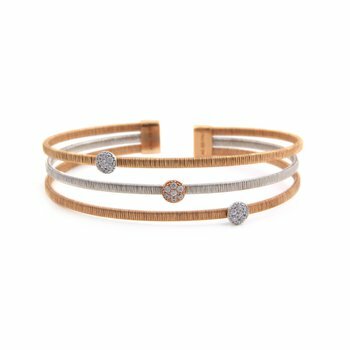 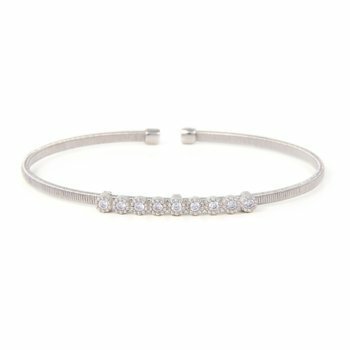 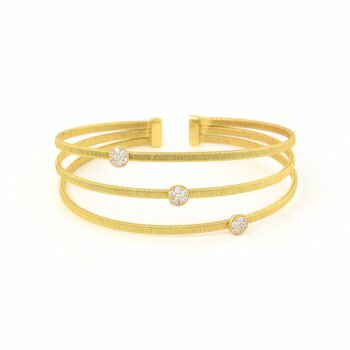 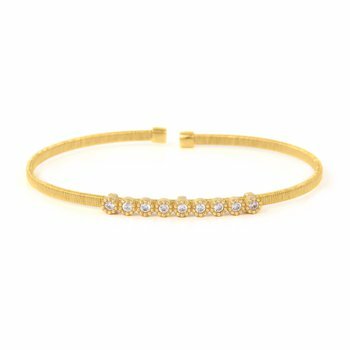 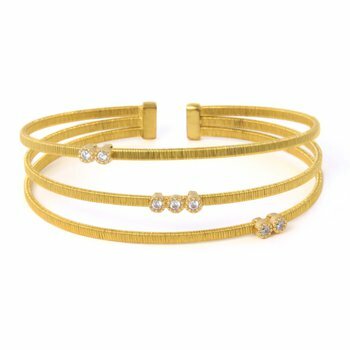 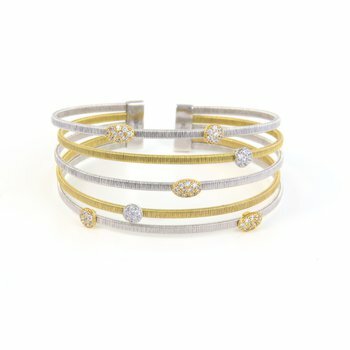 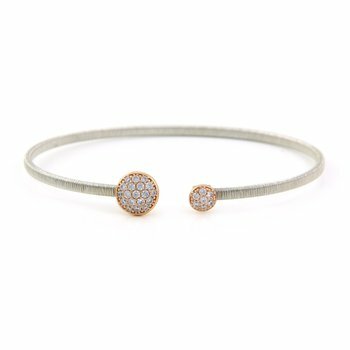 Luca Scintille Collection Single Strand Wire Collection Bangle in White. 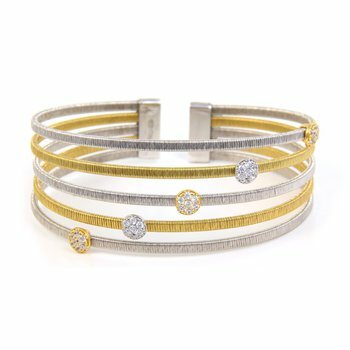 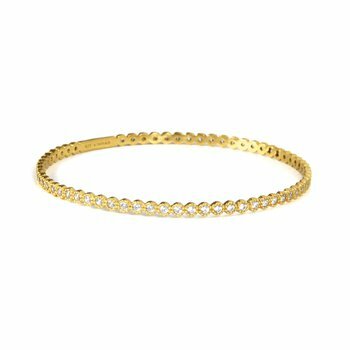 Bangle meets at top and has one round pave element. 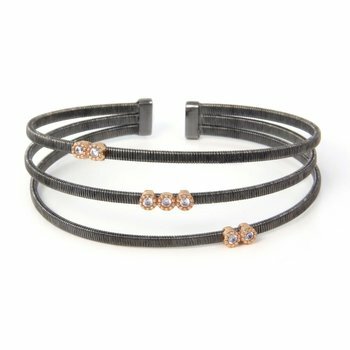 Other side has smaller pave element containing white sapphires. 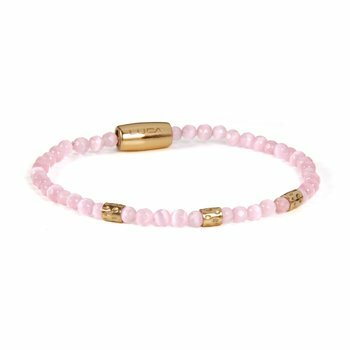 Element is rose vermeil.